Back in the summer of 2012, I decided that I wanted to build a CobWeb. It was a experiment into compact multi-band HF aerials for the higher bands and various solutions existed: G3TXQ Hexbeam, GM3VLB Delta, G3TPW CobWebb, Moxon, VK2ABQ etc. 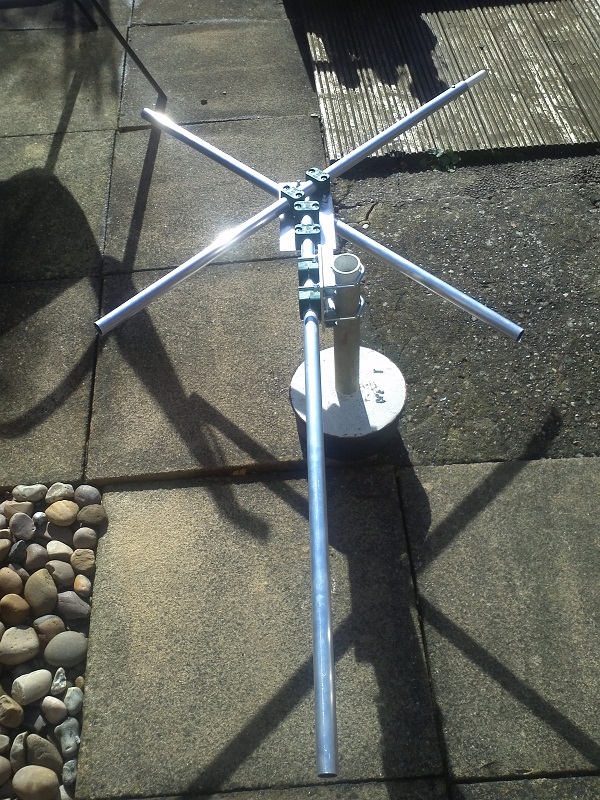 The CobWeb ticked the most boxes for me due to its 5-band capabilities, reasonable size and not too tricky to build – As it’s an omni-directional antenna, I wouldn’t have to faff about with a rotator. Much of the inspiration (not to mention technical details) was obtained from G3TXQ’s CobWeb webpage although there are many sites that also detail the aerial’s features and construction. The antenna complimented my “low-band” horizontal dipole nicely and gave me the most useful HF bands (20-10m) without needing an ATU. 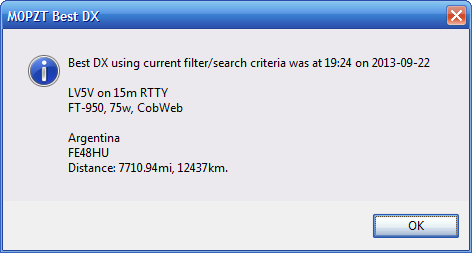 Note the spelling of CobWebb vs CobWeb – The original G3TPW was designed by Steve Webb, hence the spelling. As this is the G3TXQ variant, I refer to mine from now on as a “CobWeb”. 2x 20mm PVC Conduit, 3m length – fine for prototype, but fibreglass is better! 1.6mm (or whatever you have) Wire – total usage is about 38m. Selection of nuts/bolts – ensure they’re stainless-steel! The mounting plate and fixings can be purchased from John G4ZTR’s Aerial Parts of Colchester (it’s a very long link!) web-shop who offers the metal-work kit for around £37 (plus shipping). 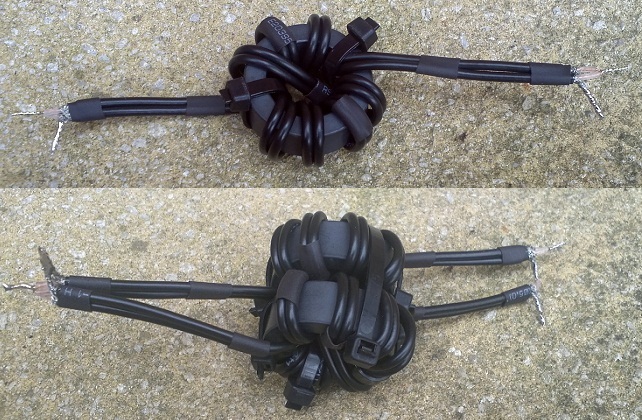 Ham Goodies sells the FT140-61 toroids and RG316 coax if you wish to wind your own. A complete balun solution is also available: Fully assembled, soldered, boxed, sealed and with optional dipole wires (which will need pruning for resonance). 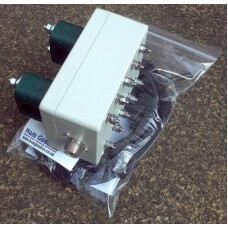 See the CobWeb Balun box on my Ham Goodies site. With John’s metalwork and the balun purchased from my Ham Goodies shop, you just need to add a set of spreaders (eg: Sandpiper). 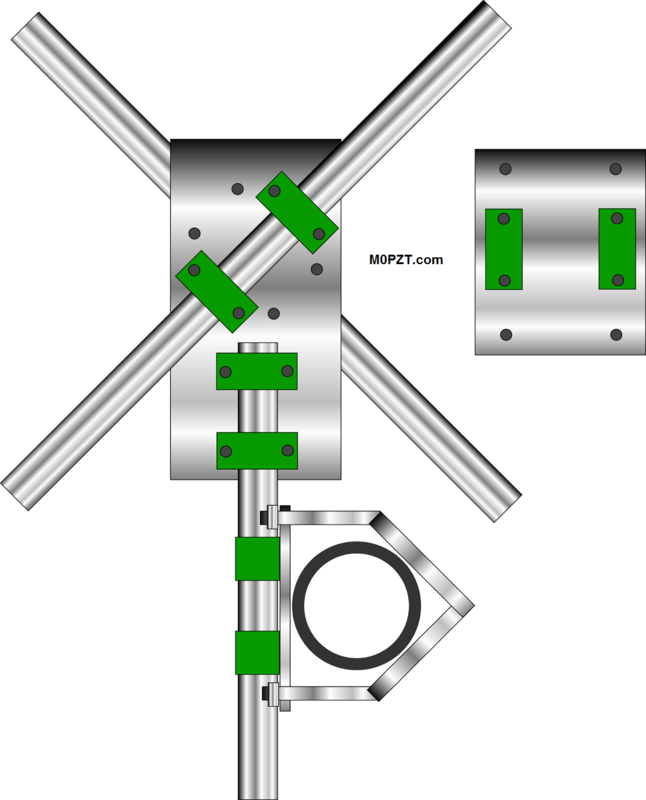 The main part of the CobWeb is the mounting-plate that holds the crossover poles and boom arm. After looking at the various examples online, I opted to re-engineer an existing design – Some of which used either plastic PVC conduit clamps or small U-bolts – I opted to use the rugged Stauff element clamps which are able to support the spreaders securely without damaging or stressing them. 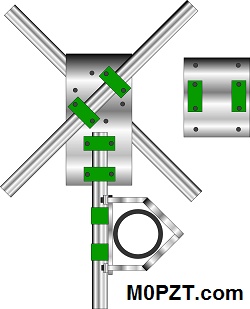 The mounting arrangement consists of 2 plates – The 1st holding the main crossover poles (1 on top, 1 underneath) and the boom, the 2nd supporting the boom and fixing to a mast. This design permits the CobWeb to be mounted at any height up a typical 1.5-2″ supporting pole. Inside the box, I used 2 strips of copper-clad board as a “bus-bar” through each screw – the coax from the balun was then soldered at a convenient point. 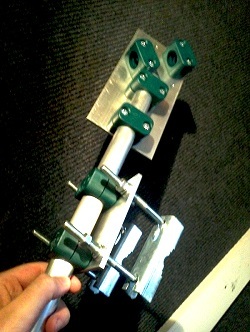 The spreaders (which must be non-conductive) for this prototype were made up of 20mm PVC conduit. The overall diameter fits nicely inside the aluminium poles with a few turns of PVC tape either side of the fixing hole. Fibreglass is the more common material used for the CobWeb, but I am happy with the PVC tube although it did droop a bit after extensive exposure to sunlight – I advise the use of fibreglass tubing if you’re going to install this as a permanent aerial. There has been some discussion recently about the use of 1″ ali tubing and it affecting the aerial’s performance – While it’s good practice (and common-sense) to keep metal away from radiating wires, there has been no apparent change in VSWR or performance when building the aerial to the above specifications. You can use fibreglass tube all the way to the bracket, if you like – ensure that the wall-thickness is sufficent and use the Stauff clamps – they’ll put less strain on the material. The following details my own build and what worked for me – Each piece of PVC sticks out 140cm past the ali-tube, with 100mm inside the ali and held in place via a through-bolt. The dimensions shown on the plan below are all in mm. The dimensions shown next to each wire are the distances from the outer-end of the PVC tube. The 10m wire is therefore around 40mm from the ali-tube (and the 20m wire is only 20mm from the edges of each spreader). You can also see how I’ve threaded the wire through the PVC tube – just 2 small holes and the wire is threaded in+out which helps keep it tight. When installing each set of wires for the first time – Secure them onto the PVC using velcro cable ties. This means that you can move the position of them quite easily if you need to make changes. There are 2 ways to make a CobWeb antenna: The original G3TPW CobWebb (note spelling) using speaker-wire forming folded dipoles, or the G3TXQ CobWeb using single-core and a 1:4 balun. I have opted for the G3TXQ version in this case. Typically, when forming a dipole into a square shape, the impedance presented drops to around 12ohms – Hence the use of a 1:4 Guanella current balun which is mounted inside the terminal box – This, as you’ve probably guessed, brings things up to around 48ohms. 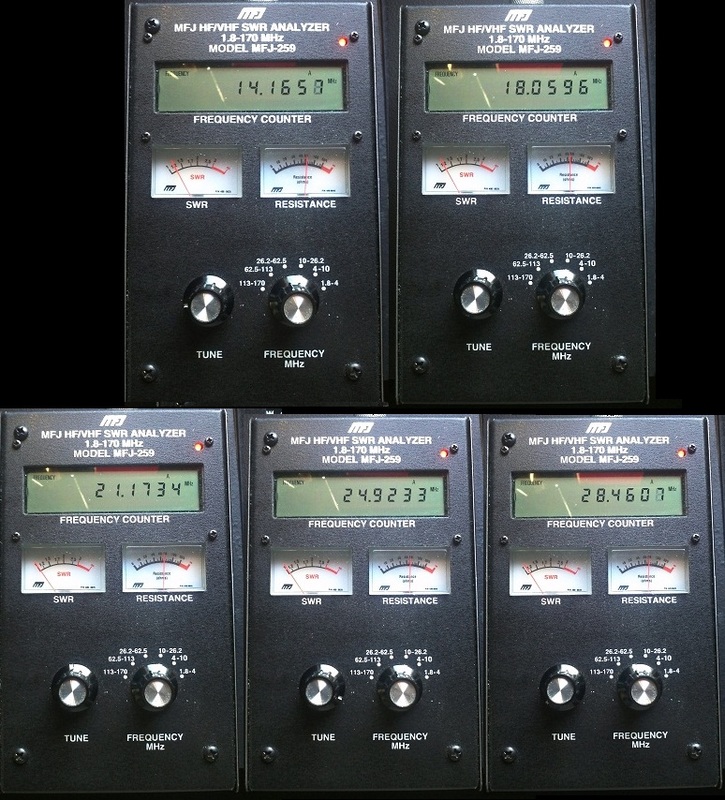 Quite acceptable for the average transceiver. You will need 2x 600mm lengths of RG316 (or RG174 for 100w max) which can be linked via a series of short lengths of heat-shrink tubing. You simply wind a total of 8-turns: 4 and then a cross-over and finally another 4. The ends are solded inner-to-inner and outer-to-outer. Make 2 of these and link them together via 2 cable-ties – The ends of both are then soldered in the following way: End 1 is inner-to-inner and outer-to-outer (ie: parallel). End 2 is inner-to-outer which leaves you with an inner and outer. End 2 is the one you connect to the SO-239 socket. 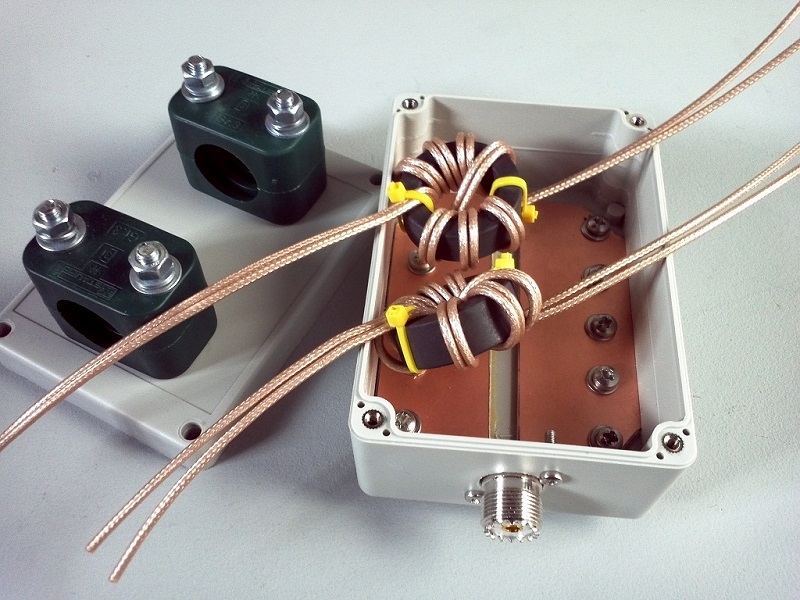 Below is one of my Ham Goodies balun-boxes under construction – You can see that the lid holds the 2x 1″ Stauff clamps and there are 2 pieces of copper-clad board connecting the 10x M4 screw terminals. Once the balun has been trimmed and soldered in place, I pour casting resin into the box giving it a water-tight seal. Tuning this type of CobWeb is simpler than finding the “sweet-spot” tapping-point on the speaker-wire – but people generally stick to the “traditional” design. The only drawback with the G3TXQ single-wire version is having to make-up the 1:4 balun! Still, it’s far better than messing-up lengths of speaker-wire with incorrect tapping points. YMMV. Thanks to my earlier test (13.2MHz resonance) I knew that the current size of the beast was a tad on the large side, so I reduced it by 10cm. This makes mine 270cm square. The height whilst on-test was 10ft, about 4ft under my dipole and the comparison test was quite favourable. 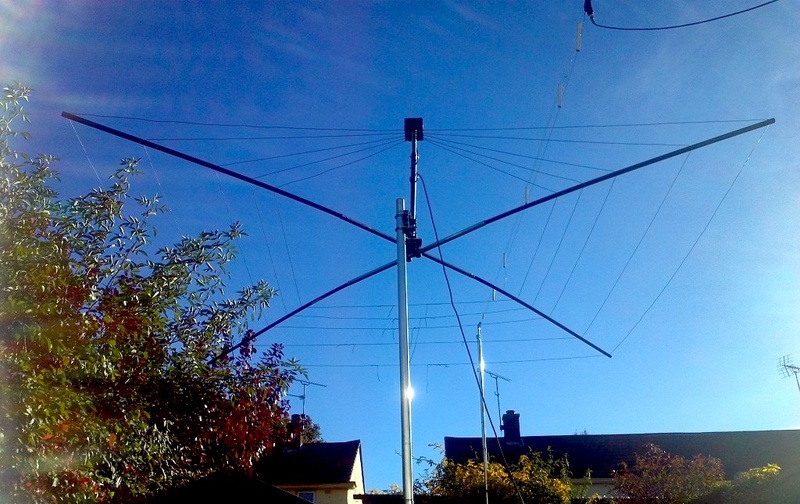 I assembled the antenna with it mounted atop a 5ft pole – when adding a further 5ft pole, the resonance altered – So be prepared to either work at a higher level or you’ll have to raise/lower the aerial between adjustments. 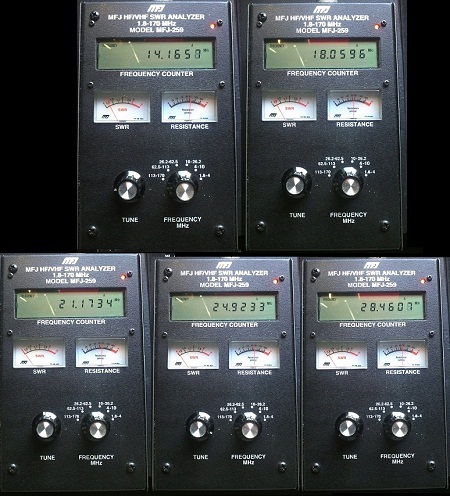 I advise you to fit all 5 dipoles and then tune 20m first, then move up, ending with 10m. You’ll find that, if you only fit 1 band, the tuning may alter as you add the other wires. 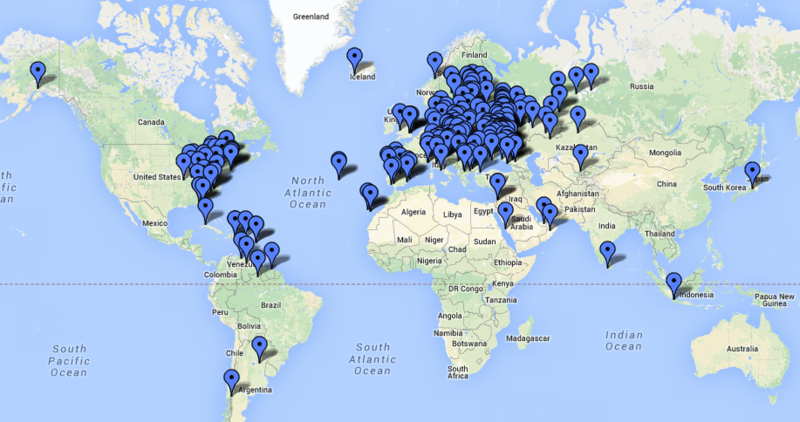 Here are the final readings from the MFJ – Not bad! You’ll find that, particularly on 15m+10m – It’ll need some help from an ATU if you plan on running CW/Datamodes as well as voice. Expect about 250KHz of 3:1 swing at best. Here’s the finished article – Due to the angle of the photo, the feed-point looks like it’s raised, but it isn’t! 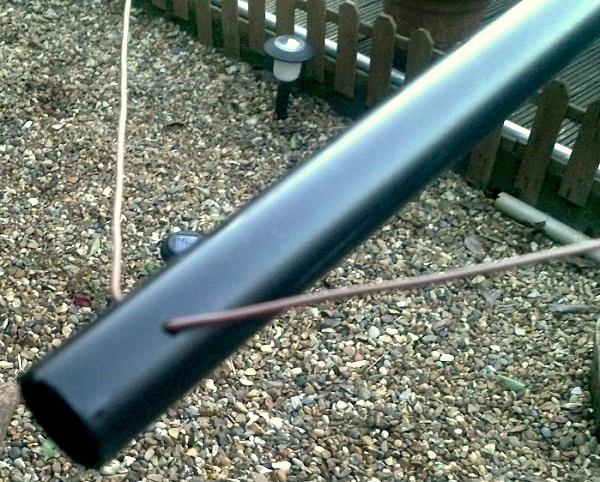 After extensive testing, I have came to the conclusion that there is little difference between using black or white PVC tube (the Wickes brand, at least) – Therefore, you can choose the best colour to suit your QTH. I chose black as most of my CobWeb would be sitting just about the roof-tiles. For a long-term solution, fibreglass tubing is advised.